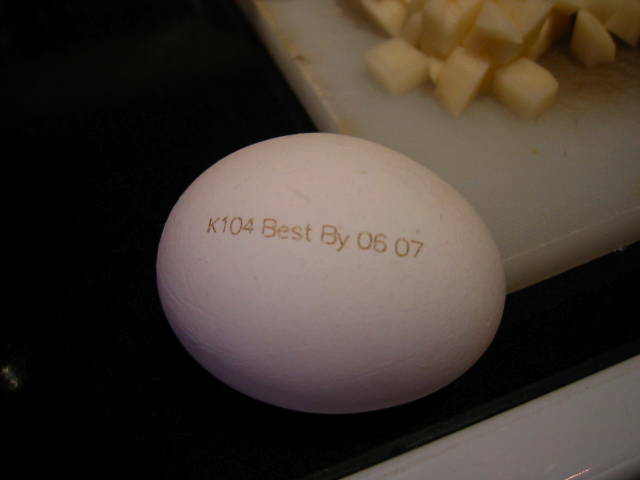 OK, this is not a Photoshop trick, click the thumbnail to see that an expiration date is printed on this egg, as was the case for all its companions in the carton. 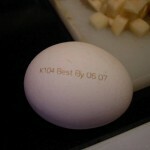 With the price of food going up and the religious fervor attached to marketing, how long do you think it will be until we see advertising appearing on eggs? Speaking of economics, I have discovered a way to reveal hidden meaning. Substitute “Santa Claus” where you see or hear the words “the market” and “the Elves” where you see or hear the words “market forces” — in most cases it will make better sense economically. There is good news here, my mom got out of the hospital a week ago today and has been continuing her recovery at home. She is making great progress and very happy to be home again. Thank you all for the kind thoughts and wishes during this difficult period for my family. 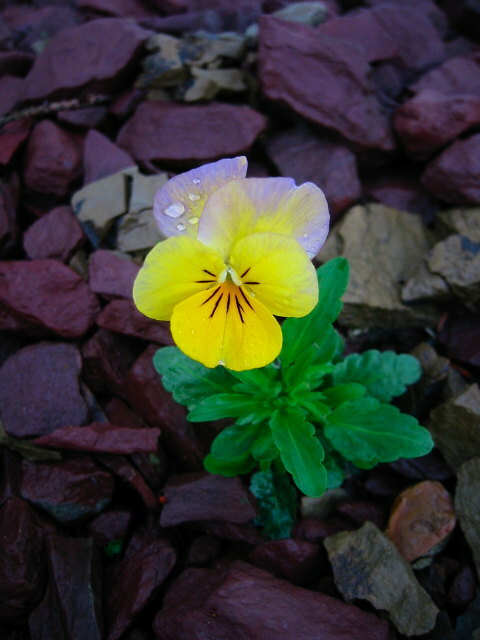 This viola was one of the volunteers where it sprouted and grew in the gravel. 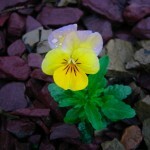 I carefully extricated its roots and it now is thriving in real soil. 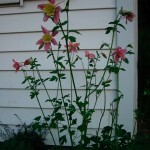 This columbine which bloomed last year is a foot taller and covered with blossoms. 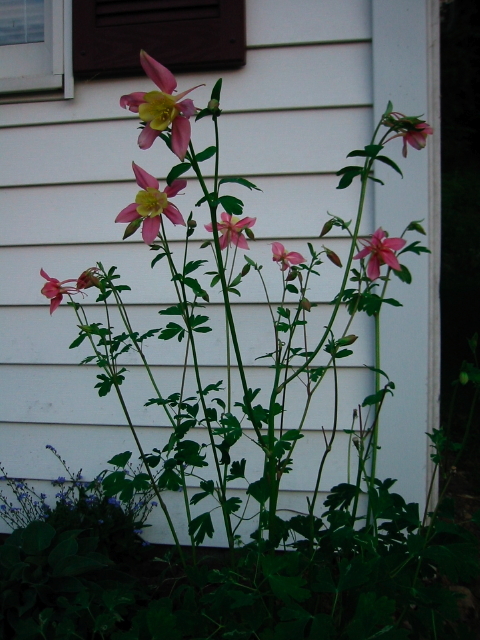 This columbine in the center of the viola (Sorbet Mix) was crowded out by a nasturtium last year and didn’t bloom. This bed is beside my front door. 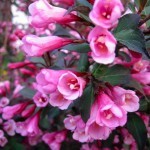 The Weigela bush out front is covered with blooms this year. 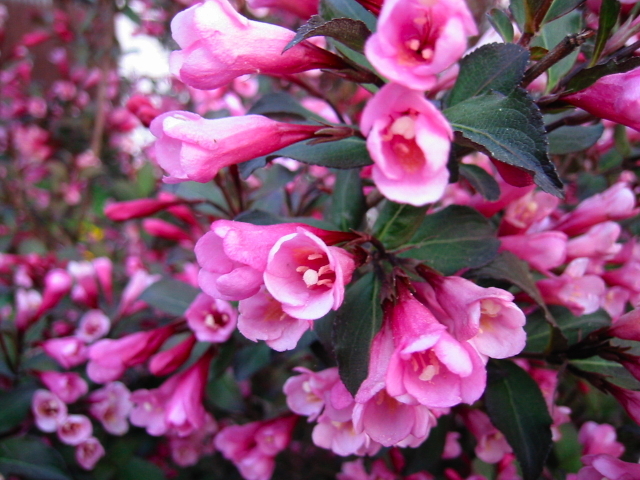 Last year it had been pruned and although the shape was nice and compact, it didn’t produce many flowers. Instead of pruning it back, I thinned it cutting about a third of the branches close to the ground which opened it up. 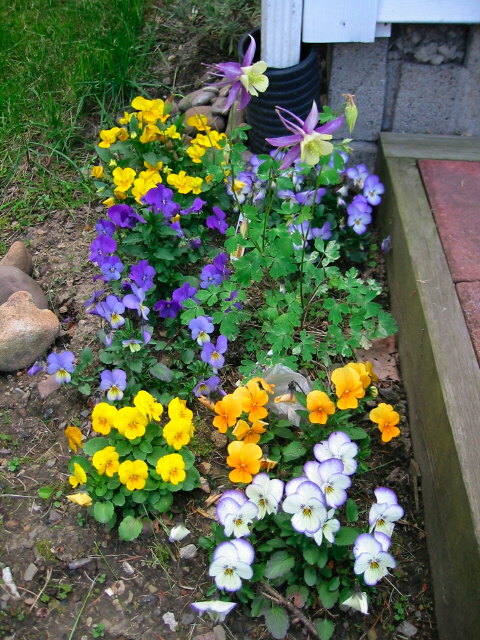 The reward was that all last year’s new twigs are full of blooms this year. 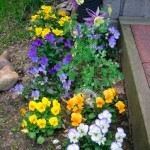 This entry was posted in Gardening, General, Photos, Rants. Bookmark the permalink.